CCR‘s canon has become a staple in the Great American Songbook. Songs like “Bad Moon Rising,” “Down on the Corner,” “Have You Ever Seen the Rain,” “Proud Mary,” and “Up Around the Bend” have been ingrained into the pop-cultural consciousness—not just as classic rock staples, but as American standards. Beyond its anti-war sentiment, “Fortunate Son” is an anthem for the 99%ers, condensing a critique of elitism and class privilege into three simple, but powerfully defiant words: It Ain’t Me. Craft partnered with director Ben Fee(Band of Horses, The War on Drugs, The Lumineers, Aesop Rock) to give a whole new generation a visual entry point into the world of Creedence. Though the Vietnam war is decades away in the rearview mirror, the people CCRwere speaking for in the song are still the heart and soul of America, and they’re still the underdog, facing a whole new set of challenges. 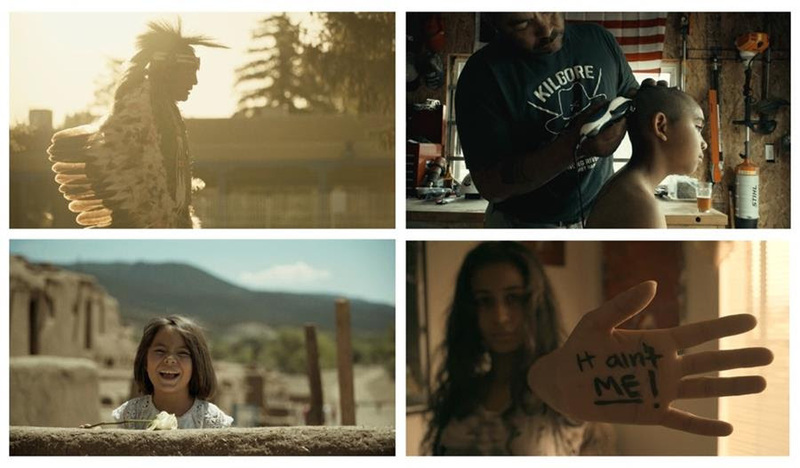 So, Fee turned the video into a celebration of their indomitable spirit, giving viewers a glimpse of the broad array of characters comprising the patchwork that is our country at its core. While their contemporaries were unfurling mind-bending musical excursions with elaborate productions, Creedence crashed into the upper rungs of the album and singles charts with songs that wasted nary a note or word, overflowing with raw soul and unbridled energy. Although the band members were only together for four years under the Creedence Clearwater Revival appellation, they managed to accomplish more than many artists do in their entire career – they released 14 Top 10 hits, six Platinum albums, and one Gold in just four intensely prolific years, all powered by John Fogerty‘s gut-level growl, with Tom Fogerty, Stu Cook and Doug Clifford providing just the right kind of gritty, in-the-pocket punch to propel CCR‘s vision. The band’s West Coast origins notwithstanding, Fogerty‘s voice contained echoes of everything from the Chicago blues bite of Howlin’ Wolf to the Alabama twang of Hank Williams and the Memphis swagger of Elvis Presley, creating an archetypal example of Americana decades before anybody ever thought of using that term to define a musical genre. For all the indelible guitar hooks and commanding vocals the CCR catalogue contains, their songs are more than catchy tunes. CCR was a people’s band in more ways than one; hand in hand with the accessibility that made their music relatable to just about everybody, there was a strong sense of identification with America’s common folks, the ones whose stories were told in the songs. On tunes like “Born on the Bayou” and “Green River,” Creedence harnessed the sonic hoodoo of almost dangerously deep, “swamp rock” grooves to propel vivid New Orleans imagery. “Long As I Can See the Light” floats luminously with the kind of sanctified soul feel that we’ve come to expect only from the South. And the spry country two-step of “Lookin’ Out My Back Door” finds its feet in Nashville, at least in a spiritual sense. While CCR‘s signature song, “Proud Mary,” is a Southern-soaked riverboat travelogue, with stops in Memphis and the Crescent City. Even some of the covers of Creedence‘s tunes have become part of history—Ike & Tina Turner’s sped-up, R&B-slathered 1971 recording of “Proud Mary” almost rivaled the original in popularity. And an astonishing array of artists, from Johnny Cash and Willie Nelson to R.E.M. and the Ramones, have recorded “Have You Ever Seen the Rain,” to home in on the reach of just one of their profusely covered songs. The group also performed a historic headlining set at Woodstock, and toured the world before disbanding in 1972. CCR‘s music endures today – still in popular rotation on the radio, and heard regularly in films and TV shows. Having sold over 30 million albums in the U.S. alone, Creedence received a rare Diamond certification from the RIAA in 2016, marking 10 million units in sales for their 1976 compilation album, Chronicle: The 20 Greatest Hits.